The need to choose between catching up on much needed sleep and embarking on a great adventure while on vacation is no more. This fall, in an industry first, Crystal Cruises will debut new Crystal Adventures planned especially for late-risers, offering the same enriching experiences in the world’s most stunning and significant destinations, beginning later in the day. With the line’s acclaimed excursions typically departing the ship within 30-60 minutes of docking or tendering — as early as 8 a.m. — the new “Late-Risers Adventures” will begin closer to 11 a.m. or noon, depending on the itinerary. The start times are designed to complement the line’s Late-Risers Breakfasts, served from 10-11:30 a.m. on both Crystal Serenity and Crystal Symphony. • A glimpse into the eclectic culture of Oporto, Portugal, including the elaborate Cathedral of Oporto – once a Gothic church, now an important Baroque structure, and the 19th-century Stock Exchange Palace, blending Arab and European influences, plus a visit to a port wine cellar for tasting among the oak casts and barrels. • Taking in Amsterdam’s most notable sites from some of the 100 canals within the city, including the Anne Frank House, the Van Gogh Museum and countless gabled houses, merchants’ mansions and centuries-old carillon-crowned churches. • Such famed Boston highlights as the Navy Yard, home to “Old Ironsides,” the world’s oldest commissioned naval ship afloat; Boston Common, America’s oldest public park; the Freedom Trail and the pre-Revolutionary Old State House. The “Late-Risers” tours will be available on select Crystal itineraries throughout the world, which range from 5-108 days and sail through the Mediterranean, Western Europe, British Isles, Scandinavia/Baltic & Russia, North Cape & Arctic Circle, Africa, Asia, Australia/New Zealand, South Pacific, South America, Antarctica, New England/Canada, Panama Canal, Caribbean, and an indulgent annual World Cruise. Until August 29, all-inclusive, value-priced “Book Now” fares start at just $1,360/person. 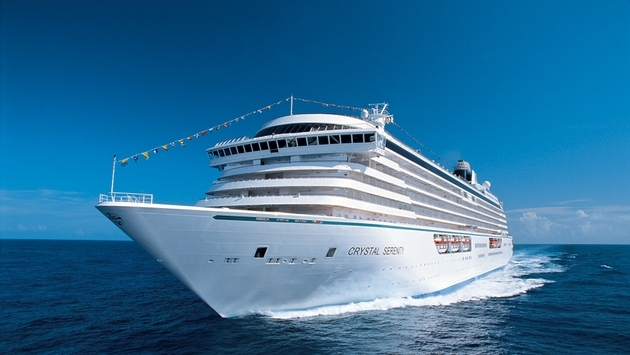 For more information and Crystal reservations, contact a travel agent, call 8oo-446-6620, or visit www.crystalcruises.com.